Running a small business is no small feat. Whether you’re just starting out or have been in business for years, you have to be mindful of every penny you spend. Your budget is important in every area of your business, but one of the areas where it’s easy to overspend if you’re not careful is office equipment. You need a photocopy machine that you can rely upon, but it can be difficult to tell which machine is best for your company’s needs? We all need help sometimes, and we’re here to provide it. We’ve reviewed many of the top photocopy machines on the market. We’ve compiled a list of the top 10 best photocopy machines for small business in 2019 to eliminate the guesswork and help you make the right choice. What are the qualities you should look for in a photocopy machine? There are many things to consider? In addition to staying within your budget, you also need to make sure that the machine you pick is durable, reliable, and able to do what you need it to do. Here are the things to look for when you’re deciding on a photocopy machine for your business. Printing speed – How many pages can you copy, and how quickly? If you have a high volume of paperwork to duplicate, you’ll want a machine that can keep up. Networking ability – Can you connect it to your existing network and what can you do with it once it’s there? Once a photocopy machine is networked you can use it as a scanner to archive documents electronically and do a host of other things with it. Compatibility – If you do plan on networking, is the machine you’re considering compatible with your existing network? There’s no point in spending money on a photocopy machine that won’t work with the rest of your office equipment. Ease of operation – Every office has a max of computer-savvy people and those who need a little help. You may want a machine that’s simple to operate. Price – How much money do you have in your budget? Does the manufacturer offer purchase options? If you’re buying a small machine to handle a few copies, then price probably won’t be much of an issue. But for a big, industrial-size machine you’ll need to think about it. You should also keep in mind the cost of the cartridges. Keep these things in mind as you consider which machine to buy for your business. And now that you know what to look for, here is our list of the top 10 best photocopy machines for small business in 2019. 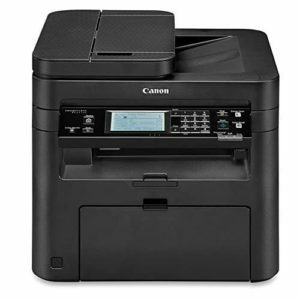 The all-in-one functionality Canon Image CLASS MF247dw allows you to easily print, copy, scan, and fax. It comes with OS compatibility of Windows 10, 8.1, 8, 7, and Window Vista among others. It features a printing speed of 28 pages in a minute while your first print happens in less than 6 seconds. Besides its high speed, its standard cassette has a larger paper capacity of 250 sheets and one sheet in the adaptable tray. 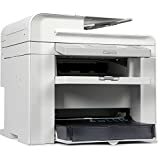 This photocopy machine can also scan hard copy originals with its Canon Print Business app. Canon MG6821 is a remarkable printer with a quality and deeper blacks and vivid reds. 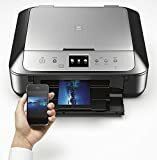 It’s a mobile device printing that is equipped with powerful options such as Google Cloud Print, Air print, Canon Print app, Morpia among others. It’s an easy to use printer that pairs with iPhone, Android, iPad, or tablet. You can print your Facebook and Instagram photos directly from your smartphone hassle free. 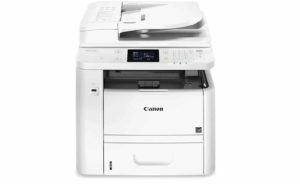 Canon Laser ImageCLASS D1520 is a three-in-one printer that offers durability as well as functionality with its high-end features. It’s a reliable printer that is great for any office setting. Your professional documents are printed quickly at up to 35 sheets per minute in black and white. 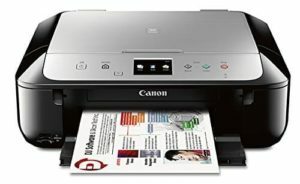 You can also scan with apple air print, Google Cloud Print, Canon Print business among others. It features an easy to print and scan to your USB flash drive in TIFF, PDF and JPEG formats. Moreover, it’s compatible with several windows and serves. 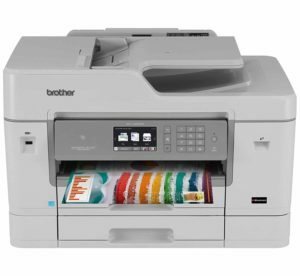 Brother DCPL2540DW is easy to use a printer that features multiple connectivity options. It’s easily digitized to allow the convenient sharing of documents and scanning capabilities. It is a reliable and fast monochrome digital printer that is specially designed for a small office and home office. This printer allows for wireless printing from your phone device by use of Wi-Fi Direct, AirPrint among other apps. It offers a flexible paper handling for buy SOHO settings. 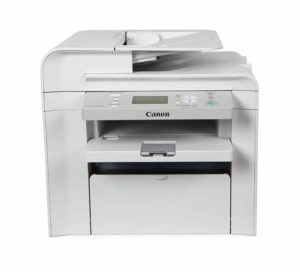 Canon image CLASS D550 features a duplex adaptability with –sided copying, scanning, and printing of documents with a speed of 26 pages per minute. Its automatic Document feeder takes up to 50 sheets. It also features a 250-sheet front loading paper cassette and a 1-sheet multipurpose tray. Its single cartridge system is economical with replenishments. This is an advanced printer with poster, tone saver watermark, as well as composer. 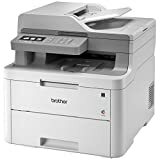 This laser printer comes with features that are easy to connect to mobile devices with Wi-Fi direct connection. It delivers a printing speed of up to 35 ppm while your first print occurs in less than 6.3 seconds. 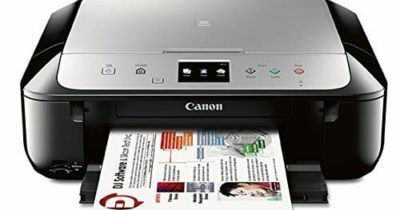 You can easily print and scan documents with Canon Print Business, Apple Air Print, Google Cloud Print, and Morpia print services. With the NFC capability, you can touch and print using any of your compatible mobile Android device. Canon Lasers Imageclass D1550 comes with a legal-platen glass that accommodates your diverse printing, copying, and scanning needs. This is a wireless printer that is designed to operate at low costs while improving printing efficiency. It utilizes advanced INKvestment cartridge system that lower costs while delivering high-yields. It features a full ledger color inkjet all-in-one with a compact design to deliver a business quality and versatile paper handling. What’s more, it can print wirelessly from your mobile device through AirPrint, Google Cloud Print, Wi-Fi direct. It comes with the added convenience of NFC touch and print capabilities. 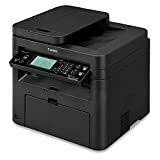 This is a digital color all-in-one printer that is ideal for home and small offices that want a laser printer to print, copy, fax, and scan documents. It offers multipurpose functionality with flexible connections and wireless options to mobile devices. It also features a 3.7-inch color touchscreen and a print-from or scan-to several cloud apps. It’s flexible at paper handling while its 250-sheet paper tray reduces paper refills. With up to 50-sheet auto document feeder, you can print and copy multiple pages within a short period. 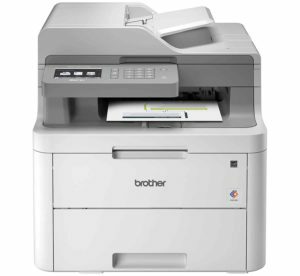 Brother MFC-L3750DW is a reliable print, scan, fax, and copy printer for home and small offices. It will help you reproduce documents fast thanks to its fast printing of up to 25 ppm and 50-sheet automatic document feeder to save you more time. This printer also features versatile connection options and one wireless mobile device printing. With its 3.7-inch color touchscreen, a print-form, and scan-to popular cloud apps, you can enjoy many options of printing your document no matter where it is. 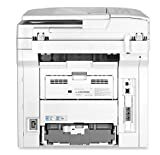 HP Laserjet Pro M426fdn Multifunction Laser Printer is a high printing performance that features a robust built for heavy-duty printing. It is ideal for small business that can print/copy 4000 pages monthly. It handles and finishes jobs fast while delivering a comprehensive security protection against printing threats. It also features a pre-installed toner cartridge, which can be replaced with optional high-yield cartridges. It also comes with saving energy and easy to manage tasks that help save energy with auto-on and auto-off technology. Choosing the right photocopy machine for your business is a must. You need a reliable machine to keep up with your staff’s demands and produce high-quality copies whenever you need them. The 10 machines on this list fit the bill. The copiers shown look durable, and I would like to place orders for photocopying business in Ghana. I would appreciate receiving the list with prices. I could provide you with a list with pricing. My email is mnunez@osisinc.com if your interested. Office equipment can be expensive especially for small businesses that do not have a large budget at their disposal. Amongst the essentials a photocopy machine is more of a must. Fortunately they do not have to be expensive. There are plenty of models that provide decent quality and have a reasonable price tag. Here are the top 10 best photocopy machines for small business in 2017. 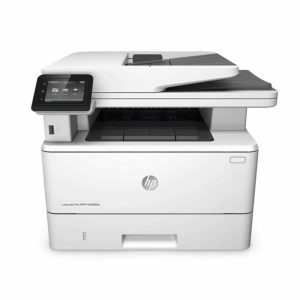 The HP LaserJet 3055 is a compact office copy machine that comes with plenty of additional features. It includes a scanner and a fax feature and it can work as a regular printer. The model is actually a monochrome laser printer with network connectivity and security features. One of its most notable aspects is its size as it is a compact copy machine that is easy to move around. Oki Data is a small brand that has only a handful of models available. The MB471 is a large office photocopy machine with a scanner and printer function. It supports network connectivity and comes with plenty of customization options. It has a 100 sheet paper tray and a large color display. It is easy to configure and it is quite affordable. The imageCLASS MF4890dw is an excellent office copy and print machine that comes with a reasonable price and a lot of features. It comes with a full duplex mode of up to 50 sheets and wireless connectivity. 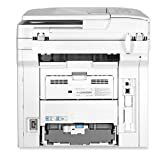 The model can be configured as a network attached printer and scanner and it includes a fax function that can store messages in a digital format. The model is also easy to use and configure. Canon’s imageCLASS D1320 is a monochrome laser printer that was mainly built to be used as a copy machine. It can also serve as a network attached printer or fax machine. It supports full duplex and supports a copy speed of 35 pages per minute. The model comes with a tray capable of holding 500 sheets of paper. Local configuration is done using a simple menu and a 5 line LCD display. Brother copy machines are well known for their reliability. The DCP-7065DN was made to last as it is able to cope with large volumes of prints typical for office activities. It comes with its own scanner and printer function and can serve as a copy machine with a 27 pages per minute speed. The model has its own Ethernet port enabling it to be used as a network printer. Xerox has an established reputation when it comes to copy machines. The WorkCentre 3655 is one of their top of the line models with a high print resolution and a speed of 47 pages per minute. It has a recommended monthly print of 15,000 pages and an internal memory that can be used to save documents. The model offers all the standard features such as print, copy or scan as well as fax machine functions. 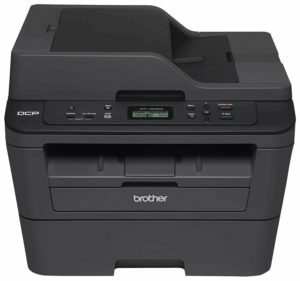 The Brother DCP8155DN is a middle class printer with a built-in scanner and a large paper tray capacity. Its feeder can hold up to 300 pages and supports automatic duplex. The model uses an Ethernet port and supports network printing. In terms of features it can be used as a scanner, printer or copy machine. The only feature that it is missing is a fax machine. 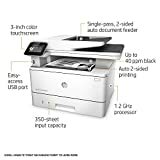 HP’s LaserJet 2840 is an excellent product for businesses that need to get a lot of printing and photocopying done. It has a high resolution laser printing and a fast copy mode. The model also features a fax function, scanning, copy and printing. Like most other similar copy machines the model can be setup as a network printer using a standard Ethernet port. The ones that need an all-in-one solution might be interested by the imageCLASS MF4770 copy machine from Canon. It has its own scanner, fax and copy function. The model can be setup as a network printer and supports various setups including an internal print-to-email address. It has a simple 5 line LCD screen and a large 250 sheet paper tray. 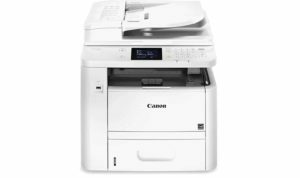 The Canon imageClass D530 is not only one of the most affordable copy machines on the market but also one of the more reliable ones. It has a simple design that makes it easy to use it as a printer, copy machine or scanner. The model does not have a fax function but it can do everything else extremely well. As an overall conclusion, the models listed in our top 10 are fairly similar and all of them are reliable and easy to configure. The marginal differences that set them apart also dictate the price gap between them. In the end, choosing the right photocopy machine will turn out to be just a matter of budget. I am Sharifah from takaful AIA. I would like to know whether your company have takaful or not. These copiers are not the best for small business. They are good only for very low volume printer if that. The best are Kyocera and Lexmark for their low cost per page copying. According to me Brother Printer MFCJ6935DW Wireless is better than Brother DCPL5650DN what t you think Admin?